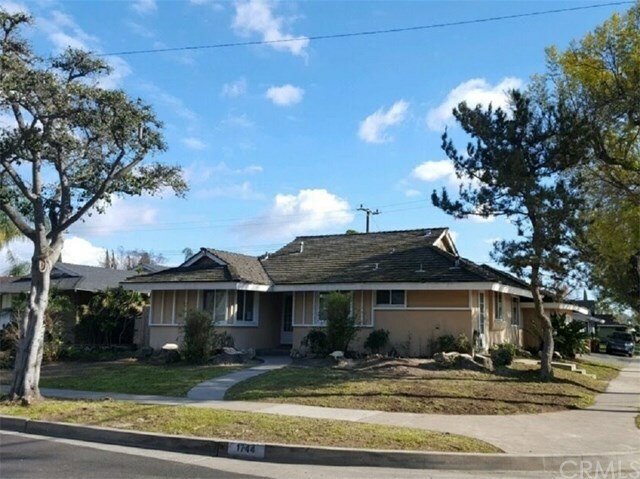 1744 Marcella Lane, Santa Ana, CA.| MLS# PW19074464 | Southern California Homes for Sale. Search properties Southern California. Single level home on large corner lot with 3 bedrooms and 2 bathrooms. Kitchen has walnut colored cabinetry with Corian countertops. Laminate flooring in living room, dining area and family room. Attached 2-car garage with direct access. Inside laundry room with space for side by side washer and dryer. Spacious rear yard with covered patio and in-ground pool. Quiet neighborhood conveniently located near The Block of Orange, Angel Stadium, Honda Center, Main Place Mall and the 22, 5 and 57 Freeways. Priced to sell! Property sold as-is. Directions: From the 22 fwy exit The City Drive; go south on The City Drive and turn right onto Garden Grove Blvd; turn left onto Townley Street and left onto Marcella Lane.